I just shifted to Windows 7 Professional a few days back. I was trying to use the Windows Mail feature which I found unavailable on this new OS. They instead were offering this Windows Live Mail service. So, just of curiosity, I had downloaded it. Along came several other services. The Live Writer being one among them. Let’s see how it functions. This post is written on my WordPress blog using this writer software. 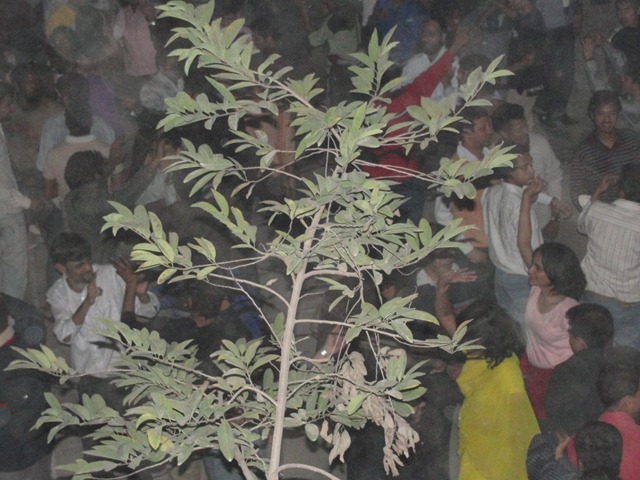 This is a picture from the Hostel Nite dance DJ taking place in our hostel last year. This is a video of a student demonstration and gherao that took place last year at JNU administrative block against the fee hike and other issues of the university. This video was also uploaded directly from the writer service. Great, I just uploaded the video from my computer to this writer software which directly uploaded this video to my Youtube page using my account details. Let’s see how this work. And, wow! This great. It took me less than ten minutes to do all this. Including the upload time taken by the Youtube server thruogh my computer which was downloading my mails from gmail. The Loss of a Language Family: Death of Boa Sr. 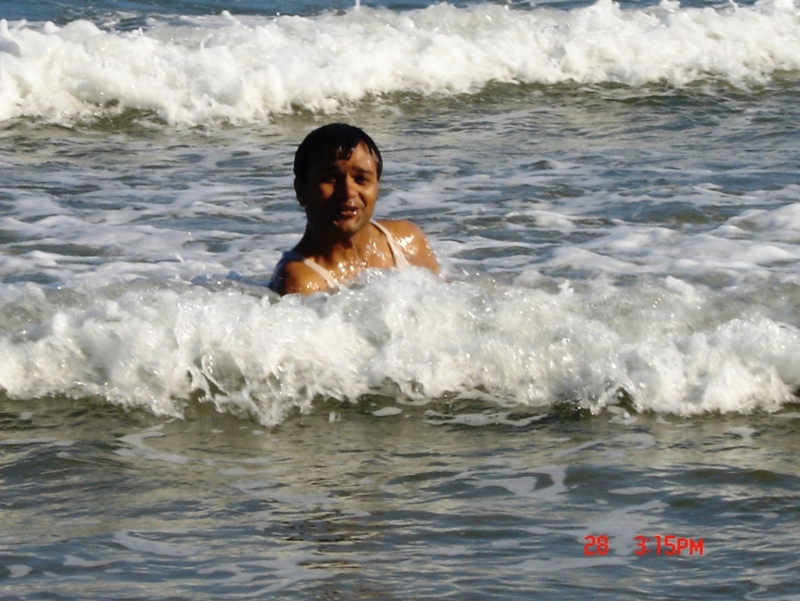 This is to condole the sad demise of Boa Sr. who breathed her last yesternight (26th Jan, 2010) at Port Blair. Boa Sr. was the oldest and the most prolific of the Great Andamanese people of the Andaman Islands. Her death brings a silent catastrophe to the community which lost a heritage that is equal to identity. The deaths of Nao Jr. last year was the loss of the window from that community to the other world. The loss of Boa Sr. is the loss the house itself. What remains now is only the ruins in a shape and size that cannot even tell of the edifice that was there once. Boa Sr. was almost the last link of the Great Andamanese language family. Out of a total of ten languages, Boa Sr. knew two languges, namely Bo and Jeru, and was familiar with some more languages of the family. Boa Sr. died at an age of about 85 years. When we met her she seemed fine for her age. She had saved herself from the Tsunami of 2005 by climbing a tree all by herself in Strait Island. She was also the only member in the tribe who did not have anybody in her family surviving. Her mother, To, was a Bo, and father, Renge, was a Jeru. She was married to Nao Sr., a Jeru, at an early age. She did not have any children and her husband Nao Sr. also left her more than a decade ago. Her parents’, as well as her own marriage only testifies further a point made by her that in earlier times marriages used to take place between different language communities, i.e. different tribes. A preference for the same could easily be seen in most of the earlier matrimonial alliances. For example, out of six most senior members of the tribe, which we have recognized as having four different family lineages, four have had mixed parents. She was the most proficient of the surviving Great Andamanese speakers and retained a vast repertoire of songs and narratives. Many of her songs had such strong influence of Bo that most of the other speakers of Great Andamanese today are unable to derive much meaning from them. She was presumably the richest surviving member of the Great Andamanese tribe in terms of linguistic-reservoir. Her love for life was quite evident when she used to say that she would love to stay in Port Blair. For a society which was not acquainted even with a barter system, it was interesting to observe that she understood the value of modern currency. Among the things she would often ask for are scissors, blades, and different biscuits. It used to be a treat to watch her when she bursted into laughter upon things she would herself say. Our predecessors would have very much been like her! It can be said that she was a person who had lived about five to ten thousand years of human history and seen and experienced the different stages of it within a life span. Her loss is not just the loss of the Great Andamanese community, it is a loss of several disciplines of studies put together, including anthropology, linguistics, history, psychology, and biology. As the world moves for greater ‘development’ and ‘education’ percolates deeper into the veins of the untouched areas of humanity, let us pray that it will be well for all. To me, Boa Sr. epitomized a totality of humanity in all its hues and with a richness that is not to be found anywhere else. Let’s pray for the peace of the great departed soul of Boa Sr. Amen! The followings are some of my Hindi poetry I wrote way back in 2000 during my graduation days. You are on a page which will lead you to the Great Andamanese Verb Analyzer, a verb analyzer for one of the least spoken languages of the world. Besides it also contains other kinds of information on the people of Great Andamanese, the work done and going on in this area, as well as many links on this topic. But before this, let me introduce you to the main thing why I am here. The whole idea of appearing on the web comes from the dissertation I wrote. It was titled “Developing a Computational Framework for the Verb Morphology of Great Andamanese”. The name of the technology developed has been given as Great Andamanese Verb Analyzer or GAVA for short. It analyzes the verb phrase from a given text in Great Andamanese. The nature of the technology developed is that of a knowledge system which can also function as an aid to machine translation and other NLP applications. In other words, it can be at the levels of a product, a technology and as a sub-system. The program is an online Java/JSP application running on Tomcat-Apache webserver. It has a JSP front end and text files as back-end. It can be hosted on any platform and can be viewed as HTML. The input and output is in IPA UTF-8 (refer to the Appendix I). This program has been developed as a web application using Java/JSP on Apache Tomcat platform. As the language does not have any script, IPA characters provided by Lucida Sans Unicode font have been used. Any Unicode font supporting IPA can be used to view and input the texts. However the technology is fully portable from one system to another as only text files for database has been used and the tools used are platform independent. The program is highly scalable and can be easily extended to work as text processor and tagger for Great Andamanese or languages with structural similarities. Most of the documentation for the program part has been completed. Testing of the software is currently undergoing and we are getting more than 90% results. An appendix (IV) to this effect has also been attached showing the result of the most frequent verb phrases in the basic sentence list. This paper was presented by me at LRIL-2007, C-DAC, Mumbai. March 26-28, 2007.